I enjoy spending time in Battery Park in winter as the cold weather keeps most of the crowds away and the park can be pretty quiet. 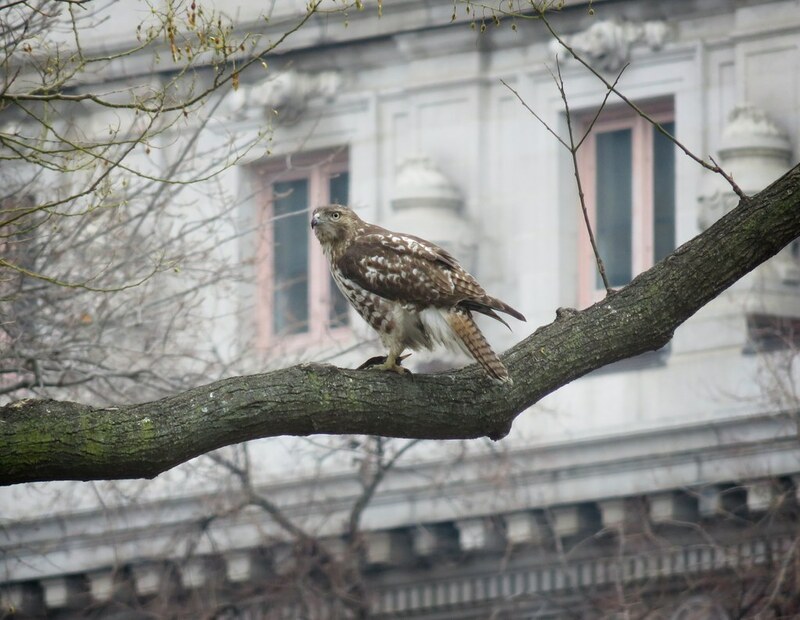 A young red-tailed hawk has been wintering in the park this season (previously featured in this post), and I was recently delighted to see it playing around on the main lawn. 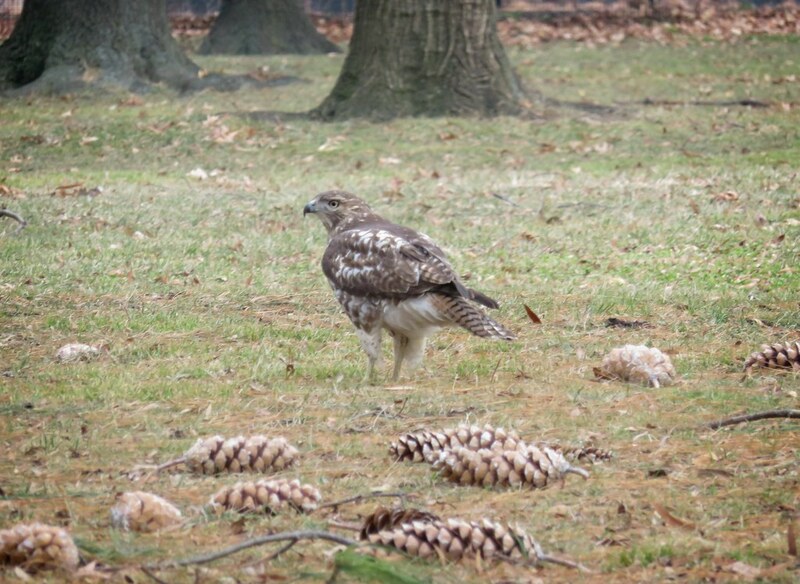 This hawk seems to be attracted to pine cones, which make perfect toys. 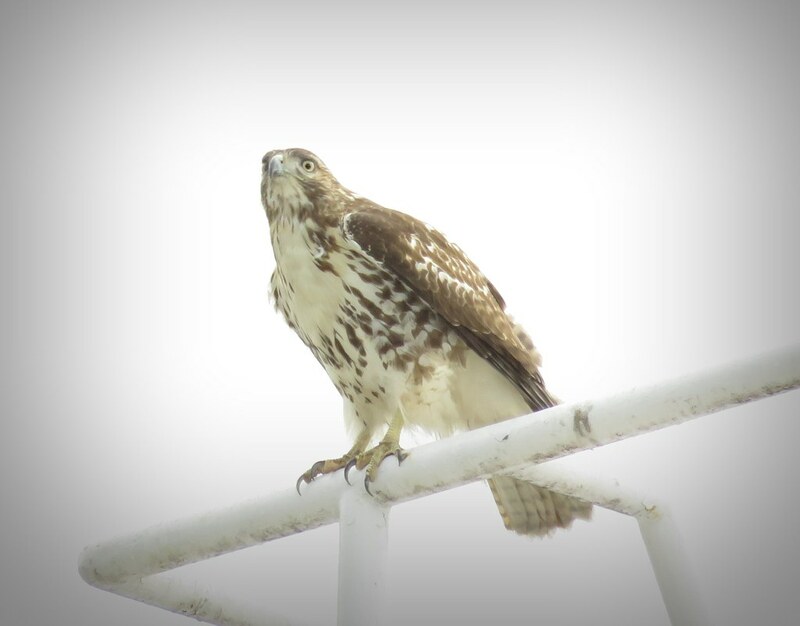 I really love seeing young hawks run around, and I managed to get some video of this hawk curiously inspecting the vegetation. 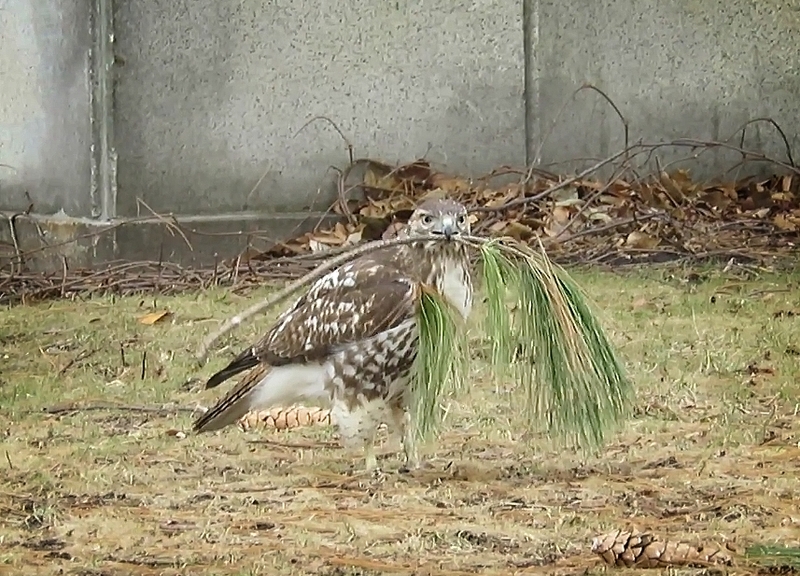 In addition to pine cones, this hawk had fun wrangling a pine bough. 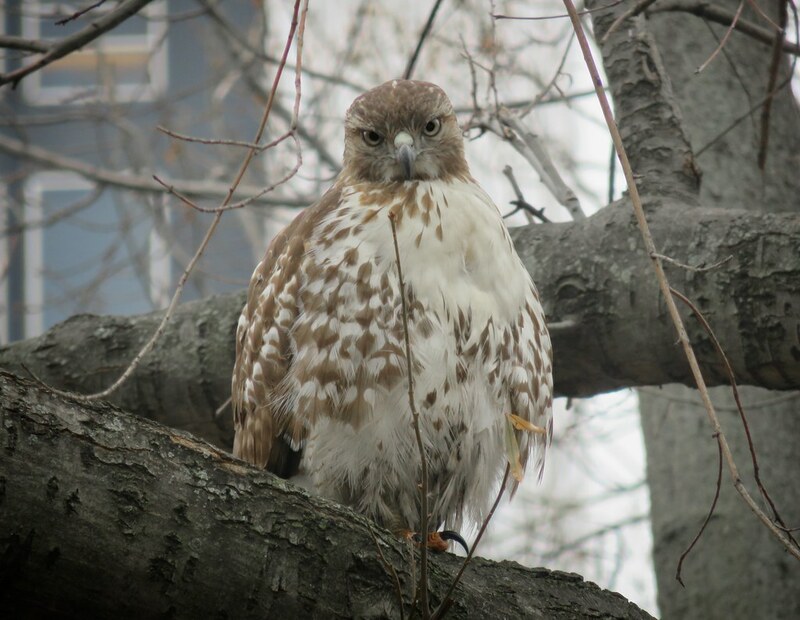 As nesting season starts up, these young hawks will likely migrate out of the city, so enjoy them while you can.